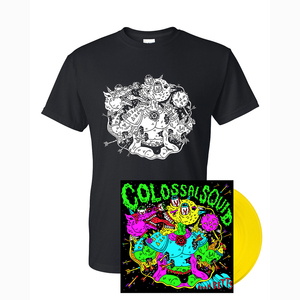 'Colossal Squidâ€™ is the debut album from Adam Betts and showcases his unique approach to music, combining his love for the irregularities in electronic music (by the likes of Aphex Twin, Autechre and more recently Arca and Oneohtrix) with his visceral connection with live drums. As a member of Brian Enoâ€™s favourite London experimentalists Three Trapped Tigers, Betts has spent years exploring the boundaries between electronic and live music, and celebrating the flaws thrown up when one tried to replicate the other. "I think almost most electronic artists have had a desire to perform live, creating a good representation of their music while being engaged with the process as much as possibleâ€� says Betts, who decided the best way for the live show to truly represent the album (and vice versa), was to make them one and the same. Having originally written, developed and recorded an earlier version of the album over a few months in various studios around London, the opportunity arose to record a live session. The recordings captured such an enthralling energy that they instantly replaced the previous â€œstudioâ€� versions. â€œIt clicked that this was the way to represent the material in the best way possible - performed entirely live, as it happenedâ€� explains Betts "it's really a punk album with tape delays instead of guitar chords!â€�. 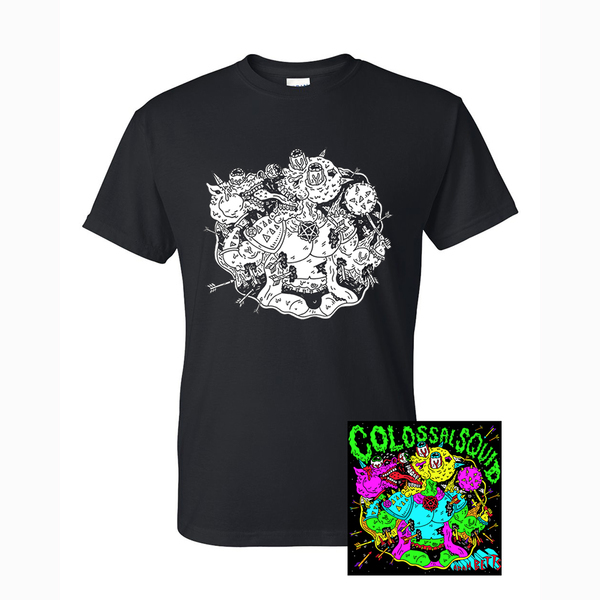 Bundle includes CD and Limited Edition â€˜Colossal Squidâ€™ T-Shirt by Russell Taysom. White Print on Black Gildan Heavy. Pre-Shrunk. 100% Cotton.